The Hickman Friends Senior Community of West Chester is pleased to announce some of the exciting items donated for the live and silent auction at the 2019 Art of Caring – Passport to Art event on March 30th, from 6:00 PM to 9:00 PM at Oakbourne Mansion 1014 South Concord Road, West Chester, PA 19382. Art of Caring attendees will be able to bid on a trip to Napa Valley. 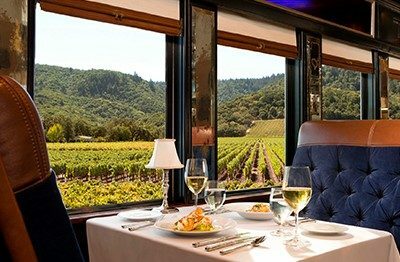 The Napa Valley Backroads & Railways includes a three-night stay for two people at the Meritage Resort and Spa, six consecutive hours of chauffeured luxury sedan service, three-hour gourmet dinner for two on the Napa Valley wine train, and more. 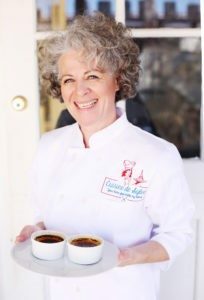 For a second year in a row, Chef Sylvie Ashby of Cuisine de Sylvie will prepare a five-course French dinner for six in the comfort of your home. She will be using the finest ingredients from the Chester County-based purveyors, The Road Rancher and 1723 Vineyards, LLC. Two tickets for the Philadelphia premiere of the Broadway musical, Hamilton will also be included in the auction. See the hit show that has taken the country by storm! Six artists (Kris Berlin, Sarah Bourne Rafferty, Amy Bruckner, Eunice LaFate, Pamela M. Levin and Nancy R. Salamon) will create pieces of art live and answer questions about their craft during the event. Each artist will also have an item in the auction. Other auction items of note will include original artwork by John Suplee and other local artists, signed memorabilia by Philadelphia Eagles & Philadelphia Phillies, Radnor Hunt Races Tailgate Package, gift certificates to regional restaurants and attractions, and additional wonderful items! Funds raised through the event will support The Hickman’s Resident Assistance Fund. The Fund provides aid to Hickman residents who are facing financial hardship, and are no longer able to afford their room and board, and personal care needs. Since opening in 1891, no resident has left The Hickman due to a monetary situation. There is no online bidding for auction items at the Art of Caring, but The Hickman does accept proxy bids. Contact Jen Harris for more information about proxy bidding, 484-760-6306. $75 tickets can be purchased by visiting www.thehickman.org or by calling 484.760.6300. Sketch: Martha Boston & Christopher McKenney; Fulton Bank; Gawthrop Greenwood, PC; John Serock Catering (in-kind); Hank & Julie Schellenger, Pine & Pine Law Offices; Woman’s Encore, LLC; and WSFS Bank. Design: Blue Dog Printing & Design (in-kind); Brandywine Valley Heating & Air Conditioning, Inc., Brock & Company, Inc.; Evelyn Brownlee; Greenbrier; Jeffrey House & Kathy Adams-House; International Brotherhood of Electrical Workers Local Union 654; Kencor, Inc. Elevator Systems; Donald A. Kidder; Di & Dallas Krapf; Pamela Leland & Renna Van Oot; Lenhardt Rodgers Architecture + Interiors; Ellen Millick; J. Dean & Nancy O’Banion; PECO; and West Chester Downtown Foundation. Inspiration: Franny & Franny Abbott; Advanced GeoSerivces Corp.; The Alfree-Leverage Family; BAYADA Home Health Care; Benchmark Construction; Blue Blaze Associates; Steve & Kristi Crum; Dave’s Automotive Repair Ent., LLC; Brad Abel, Edward Jones Investments; DNB First; Joesph & Theresa Farace; Fizzano Family of Associates, Realtors; Freeman’s; Johnson Kendall Johnson; Robert & Mary Kolimaga; Lamont Coffee & Tea; Charles & Jane Mack; Manatawny Still Works (in-kind); Meridian Bank; Mutual of America; Joel & Lisa Necowitz; Stephen Olsen & Beth Collins; O’Rourke & Sons, Inc.; Tom & Sue Padilla; Rovito Law LLC; Betsy Stratton; Diane & Thomas Treacy; and William Bunch Auctions & Appraisals (in-kind).